Have you ever noticed underlined text or reference numbers when you’re reading health and wellness blogs? If you click on those, you’ll see that the author has backed up their writing with links to journal articles, studies, and other sources. When I created my collection of five nutrition blogs I like, I noted Julie Daniluk’s commitment to research, and that it speaks volumes about her credibility and professionalism. And as nutritionist and health writer Leesa Klich points out in her post, there is no better way to make sure you’re delivering the most current recommendations and best value to your readers. 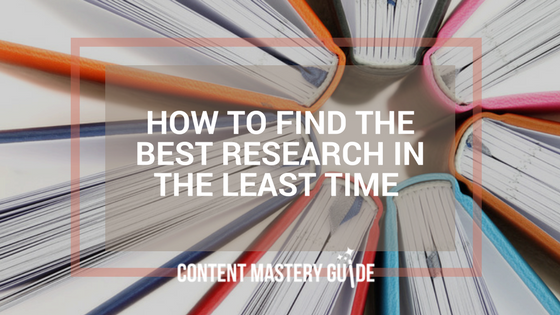 Leesa was my guest for a recent class in my Content Mastery Formula program, where she shared her tips for finding the best research in the least time. She was even kind enough to stick around for a Q & A with our students, where we covered topics like how to shift from academic/professional/technical writing to conversational blog post writing, and how to structure the links and references within your blog post. What type of articles does your audience want (and expect) from you, and what type do you want to deliver and be known for? Short tips, updates, recipes and Q&As require less research time than “ultimate guides” or comprehensive protocols, but the latter will help you rank for SEO by giving away your best information. The type of references you want to use. PubMed scientific peer-reviewed research articles will take a lot more time to decipher than reading a consumer-friendly NIH or Harvard Health newsletter, or another blog post on the same topic. If you go too far, and get too many references, consider breaking them up into a blog series. A note from Linda: Remember that a blog post isn’t the same thing as a journal article or academic paper. This is a common myth amongst health and wellness professionals. You’re not writing to other professionals here (though of course your colleagues may also read your posts). Ultimately, you are writing for clients and prospective clients, so imagine you are speaking just to them and keep it simple. What are your tips for being efficient with your research time? Have a system – First, list your favourite sites to reference and use those sites each time (there’s no need to go down a “Google” black hole). Batch it – Take your topic(s) and set a timer for 20-30 or up to 50 minutes. Search each of your preferred sites. Take a cursory look at the title of each potential reference. If it looks like it applies, copy the link into your draft blog article document. Don’t go and read through them yet. Save good references for future use – They can give you some great ideas for future blog articles, and you already have a reference to start you off. Bookmark them, or copy the URL into a document for when you need to write your next article. How about you? Have you ever gone down a Google black hole when researching a blog post? Or felt confused about the difference between a blog post and a journal article? Hopefully these tips from Leesa Klich have given you a good place to start. With the boost to your credibility and the value for your blog readers, research is definitely worth the effort. P.S. Leesa and I went on to discuss more about the three categories of references you might use in a blog post, and how to assess the credibility of a potential source. You can access that recording as a member of the Content Mastery Formula program. Learn more by joining me for my next free webinar.